This weekend sees the start of the 150th anniversary commemorations of the Battle of Fredericksburg. There is perhaps no other battle of the American Civil War that is more associated with the Irish, given the participation of the Irish Brigade in the famous charge against the stone wall at Marye’s Heights. As Clint Schemmer of The Free Lance-Star reports, The Irish Defence Forces will have a representation at the events on noon on Sunday, when they will take part in a re-dedication of the Irish Brigade monument at City Dock. They will then march in the procession to Marye’s Heights at 1pm, while at 3pm a representative of the Irish Embassy and the vice-mayor of Kerry will take part in the ceremony at the Stone Wall. To read Clint’s full article on the events see here. I admit to having mixed feelings regarding this event. While it is fantastic that the Irish State will have some representation and I hope it is a great success, it is also an opportunity lost. A small color-guard and a handful of dignitaries is perhaps not the level of recognition that this event warrants from Ireland. The 150th anniversary of Fredericksburg presents the Irish community with its main opportunity to participate in the 2011-2015 commemorations, given that it is the engagement most associated with the Irish. It is my view that it is worthy of major recognition by the Irish Government, where an increased Defence Forces contribution and the presence of some senior officials might have been considered. 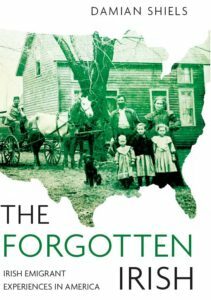 The attendance of the President of Ireland would have been appropriate, as the event presents an opportunity for the State to formally recognise the effect the war had on the 1.6 million Irish-born people living in America at the time. It may be that Gettysburg will incite more of a reaction from the Irish Government, and if that is the case then such an effort would be welcomed. Given the desire of the Irish Government to welcome back members of the Irish diaspora for next year’s Gathering, and the recent criticism those plans have elicited, it might be prudent for our country to be seen to be taking a vigorous interest in one of the historical events that has most affected that diaspora. An interesting article.. I know it’s cold over there, but I was worried for a moment to see snow falling! The battle of Fredericksburg is the most important event in the lives of 19th Century irish Americans post the Famine. The Irish Brigade, brainchild of Young Irelander,Thomas Francis Meagher, was decimated (by mainly an Irish regiment from Geogia) due mainly to the poor Generalship of Ambrose Burnside, along with a number of other Union regiments. The entire battle was a disaster for the Union Army. It is most disappointing that our highly paid President, with his huge salary and four state pensions, could not make the effort to attend this very important commemoration. There is huge pride in the US in relation to the participation of native Irish in the Armies of both the Union and Confederate Armies. Most of these men were from the famine ravaged West of Ireland, where Mr. Higgins comde from.